HEISCO's commitment to its clients is proven by its quality management system certification to ISO 9001:2008 & Occupation Health & Safety Management System certification to OHSAS 18001:2007 standards. 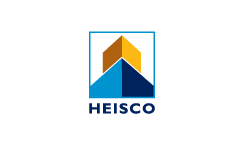 Established in 1974 to initially meet the demands of the shipping and maritime industry in the Northern Arabian Gulf, HEISCO has since expanded its operations to meet the challenges of emerging markets. Today, in addition to remaining market leaders in the marine industry, we are also recognized as one of the leading industrial companies in Kuwait, having made a major contribution to the development of the country's commercial and industrial infrastructure through successfully completed projects in virtually every economic sector. Just as our diversification has continued to grow, so too has our reputation for standards of excellence in quality, performance and customer service.